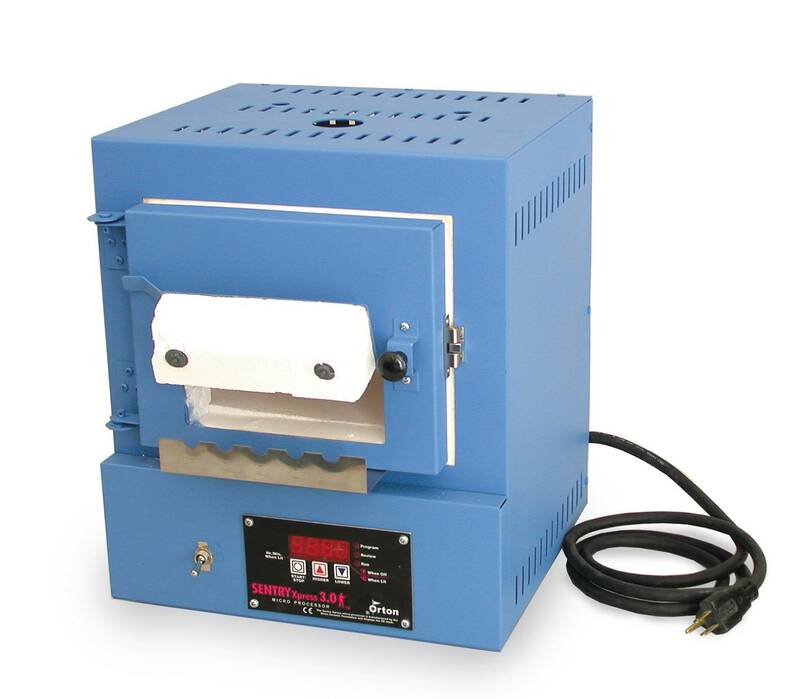 The digital SC-2 kiln fires silver clay, decals, china paint, enameling, and glass in minutes up to 2000°F. The SC-2 is popular with seminar teachers because it fires fast, plugs into a standard 120 volt household outlet, ships by UPS, and is easy to sell. The SC-2 has been in production since 1997. It is a proven design that we have steadily refined every year. Thousands of artists in the U.S., Canada, Europe, and Japan love their SC-2. Paragon SC-2 Silver & Glass Kiln with Bead Door The digital SC-2 kiln fires silver clay, decals, china paint, enameling, and glass in minutes up to 2000°F. The SC-2 is popular with seminar teachers because it fires fast, plugs into a standard 120 volt household outlet, ships by UPS, and is easy to sell. The Sentry Xpress 3-key controller is packed with features. It includes two modes: Single Segment and 8-segment Ramp-Hold. Features of the Sentry Xpress 3-key Controller on the SC-2 Design programs with up to 8 segments (steps) in Ramp-Hold mode. Fire to a single temperature at a single speed in the simplified Single Segment mode. Ramp-Hold mode can store 4 programs. Skip Segment feature in Ramp-Hold mode Temperature hold The Sentry Xpress can control both heating and cooling. Program Review lets you check that the program you are about to fire is correct. Temperature Display throughout firing and cooling in your choice of °F or °C Error Messages report mechanical problems such as a disconnected thermocouple, stuck relay or broken element. 12 Month Warranty LED Lights show whether you are in program, review, or firing mode. The SC-2 can ship by UPS. Enjoy lower shipping cost and faster service. Specially designed cartons and foam padding assure that the kiln will arrive safely.